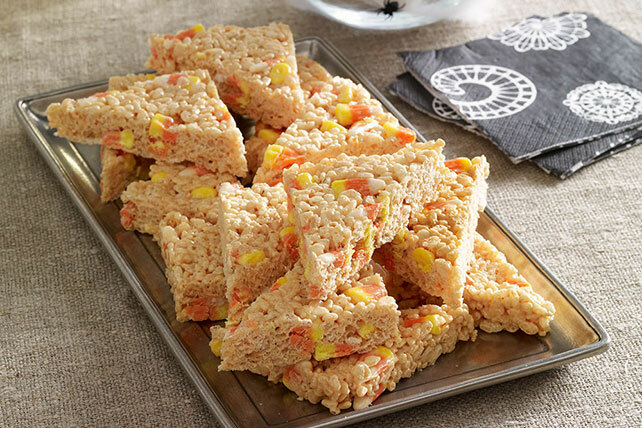 Whip up a batch of Candy Corn-Marshmallow RICE KRISPIES TREATS for the Halloween treat table! RICE KRISPIES TREATS get the Halloween treatment with the addition of candy corn. If you're looking for surefire scrumptiousness, Candy Corn-Marshmallow RICE KRISPIES TREATS have it!